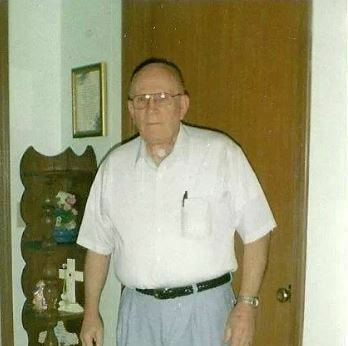 We remember John Thurmond Chears who was a Veterans Home Care client for 12 years. John and Peggy Chears before needing care. Like many people, they didn’t know about the VA’s Aid and Attendance Pension until they learned about it from a caregiver with Phelps Regional Homecare an agency in the VetAssist Program provider network. John was 83 years old when he passed away on Monday, July 16, 2018. He was a husband, a father of five sons, a grandfather and great-grandfather residing in Saint James, Missouri at the time of passing. John proudly served in Germany as a member of the Air Force during the Korean Conflict from October 1952 to October 1954. As one of our longest term clients, John benefitted from the VetAssist© Program which assists eligible veterans or their surviving spouses with a little-known benefit called “Aid and Attendance.” Veterans and their surviving spouses receive home care and assistance with activities of daily living thanks to an interest-free loan covering the expenses while their application processes. Anthony Chears, John’s son, who did not live in Missouri with his father, saw the VetAssist Program as the perfect choice for them. “The VetAssist Program was the right solution for both me and my Dad. There are a lot of veterans out there that need help. I’d like to do anything that I can to spread the word about this program to help them,” Anthony said. John’s home care aide, Debbie Sexton assisted John in maintaining his independence while he lived on his own. “I’m very pleased with how well Debbie took care of my father. Since I didn’t live close by, I only met her a few times, but she was very professional and my father always spoke highly of her,” Anthony complimented. John had no service-connected disability but was eligible for the Aid and Attendance benefit. While wartime service is a requirement to qualify, that does not mean fighting in combat or sustaining an injury during service is required. Wartime service simply means that the veteran served in the military during one of the war periods defined by Veteran Affairs. Veterans Home Care has a provider network of more than 3,000 contracted home care agencies that provide care to their VetAssist clients. “I heard about the VetAssist Program through my employer, Phelps Regional Homecare. Someone from the VetAssist Program was at Phelps Regional and explained how the VetAssist Program helps wartime veterans access military benefits to pay for home care. 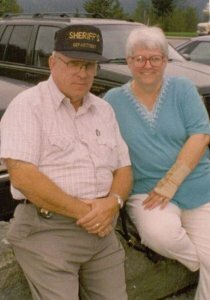 At that time, I was the caregiver for John and his wife Peggy. 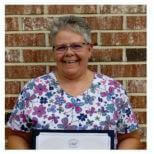 I told them that I thought they might qualify and be able to afford additional home care,” said Debbie. After that, John was able to get funds through the VA for home care which allowed Debbie to come to their home up to five days a week. “I enjoyed caring for this couple so much. Then Peggy, John’s wife passed away somewhat unexpectedly. It was a tremendous blow to John,” said Debbie. “I tried to keep him distracted and interested in things to keep his mind off his wife being gone. He was a chef back in the day, so I used to help him cook. He would come up with ideas and I’d execute them. He taught me so much—especially how to be free in the kitchen,” Debbie remembered fondly. In John’s senior years, he faced numerous health challenges. Undergoing cancer treatment, he had his voice box removed (laryngectomy) so he had to learn to speak through a stoma, or opening in his neck. He also suffered some amnesia and couldn’t recall his younger days as a family-man married to Peggy. “It was my honor to spend 13 years caring for John. I truly loved him. He was the most kind, even-tempered man you will ever meet,” said Debbie. Korean War Veteran John Chears was a VetAssist client with Veterans Home Care and received a little-known VA benefit to pay for his care. Bonnie Laiderman, CEO and founder of Veterans Home Care, honored John’s memory and provided her insight on the Aid and Attendance benefit. “It was a tremendous honor and privilege to have had Mr. Chears, a Korean War veteran as our client for 12 years. As far as we can tell, he was our longest active client. So often, we get clients at the end stage of their life. Many of them would have qualified years earlier and could have been receiving a monthly Aid and Attendance pension from the VA and been getting in-home care. I’m so glad that John’s family found out about us and that he was able to get the care he deserved for so many years,” said Bonnie.